It’s here! It’s queer! Get used to it! 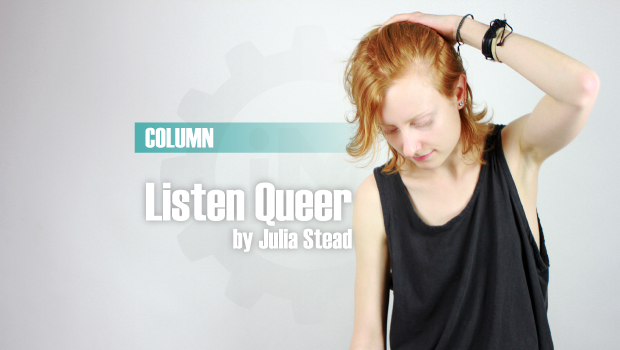 I’m so pleased to announce the launch of my music column: Listen Queer. It’s published through The Indie Machine; a Toronto-based multimedia music series that plays a discernible role in supporting local music. The queer community exists on foundations of love, camaraderie and genuine support. As a queer musician, I crave to translate those conventions into my exploration of music. However, as I search to discover new queer music; I find myself dissatisfied. Every LGBTQ publication has their designated “Music” section, but it’s often solely dedicated to Elton, Ani, and the Indigo Girls. It’s 2013! Where’s the new blood!? Listen Queer is about providing a resource to discover queer-centric music and events. Through artist interviews, event coverage and ongoing news updates – readers get an inside scoop on the queer music happenings in Toronto and around the world. Check back to theindiemachine.com for bi-weekly postings, and follow @listenqueer on Twitter for all the latest. If you have any suggestions on music/events I should cover, please email listenqueer@gmail.com.